Bianca: Having constantly pointing this place out to anyone that would listen to me, I finally had my first Toco experience. Replacing Jackie M Malaysian, another restaurant I unfortunately missed out on before she shut up shop, it was a fairly sizeable place for a decent café. Joining me for lunch was a good friend from college Ameriza, hereby known as ‘Speed Racer’ having recently acquired her licence at Twenty-Seven! Congrats Am. Toco is fit out unlike any other café on Major’s Bay Road, dare I say it’s the trendiest café to grace the ‘strip’ for some time. 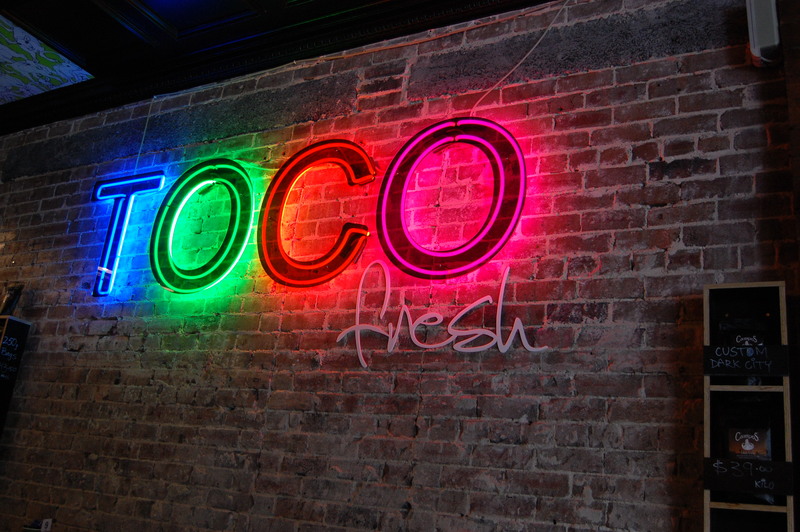 What drew me in initially was the ‘Toco’ neon sign, its damn cool. 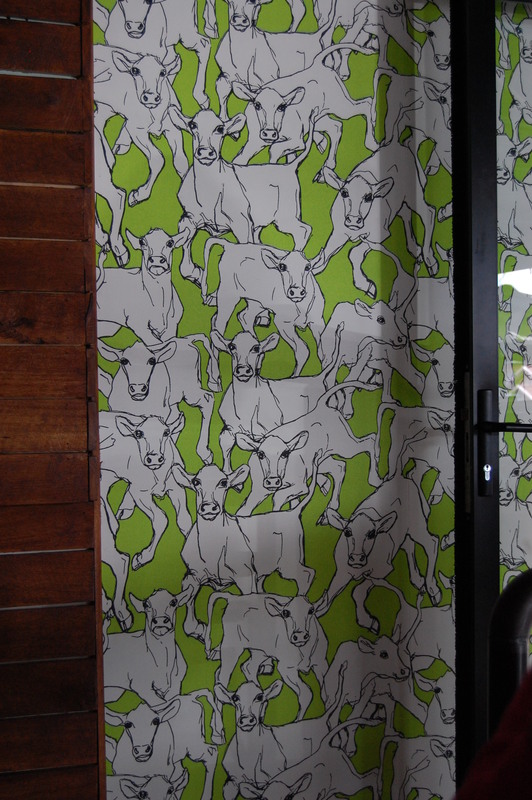 Inside its all exposed brick work and quite possibly the coolest wallpaper I have seen in my life – Little Cows!! 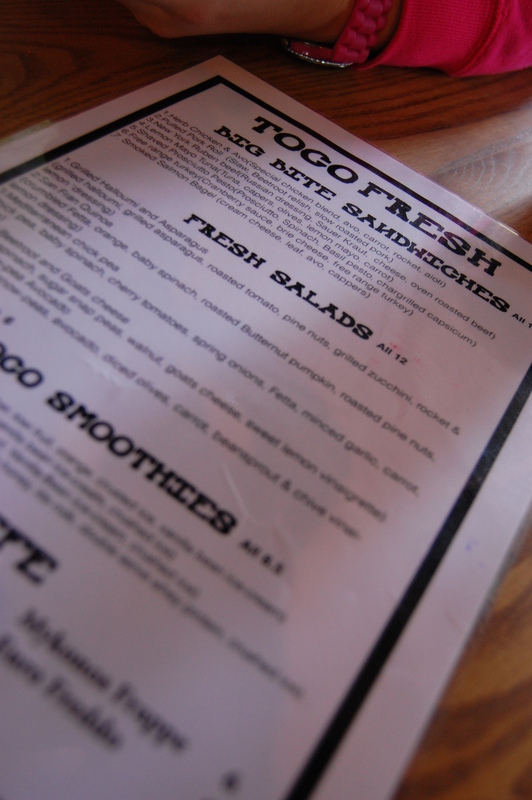 Toco offer a variety of tempting breakfast options as well as an assortment of fresh salads, smoothies, hamburgers and Sandwiches all made with Sonoma bread. Readers may have noticed a little bit of a trend with my teeny tiny obsession with burgers, I was initially drawn to the Beef Burger, one of two burgers on offer. 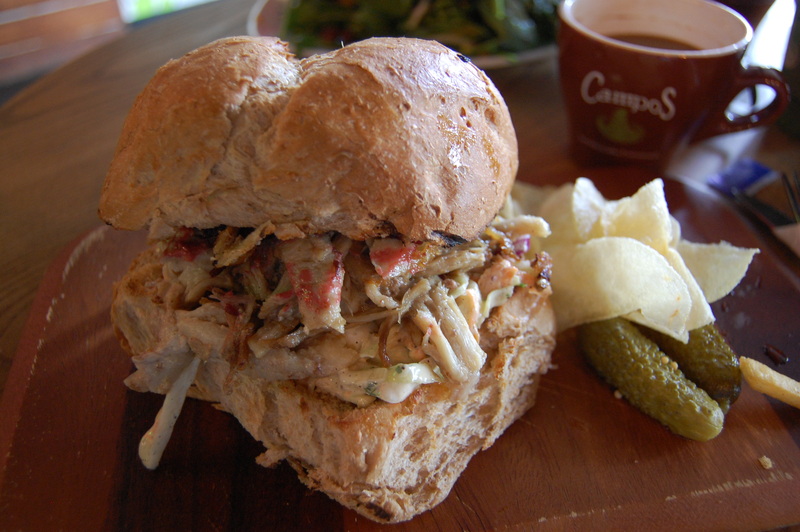 When the waitress came over to take our orders I blurted out “The Pulled Pork Roll”. What had come over me? I was taken over by some internal Pork worshipping monster that made itself known at that exact moment in time. Alas I was slightly disappointed with the pulled pork roll. The day before I had pulled pork from Papi Chulo in Manly so the bar and expectations were high. The flavour of the Pork reminded me of that of a ‘Sunday Roast’ in slow cooked form, something I’m not overly keen on. Served alongside the Pork roll were potato chips, I hardly touched these as I would have preferred a side of hot fries and don’t particularly like the combination of regular potato chips with my food. Maybe I’m weird. 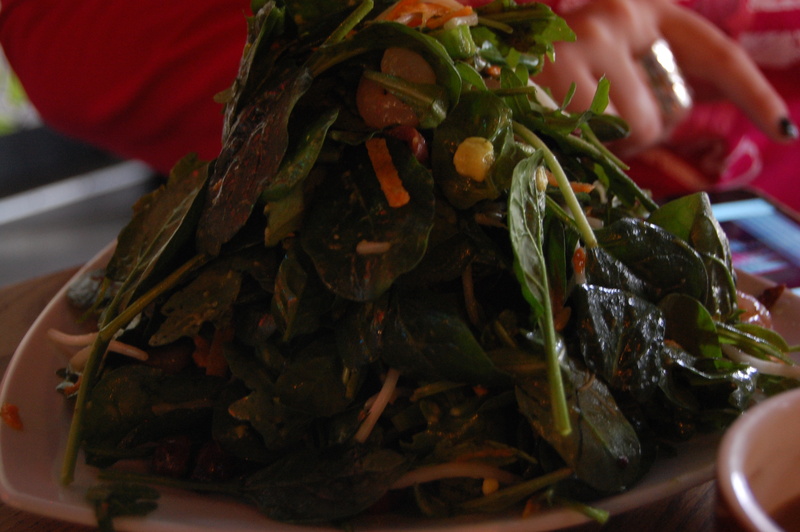 Speed Racer ordered the ‘Avocado, Prawn and Snow pea salad’ with a plate of fries, her only comment was that the salad was a bit plain and could have done with some ‘Zooshing’. 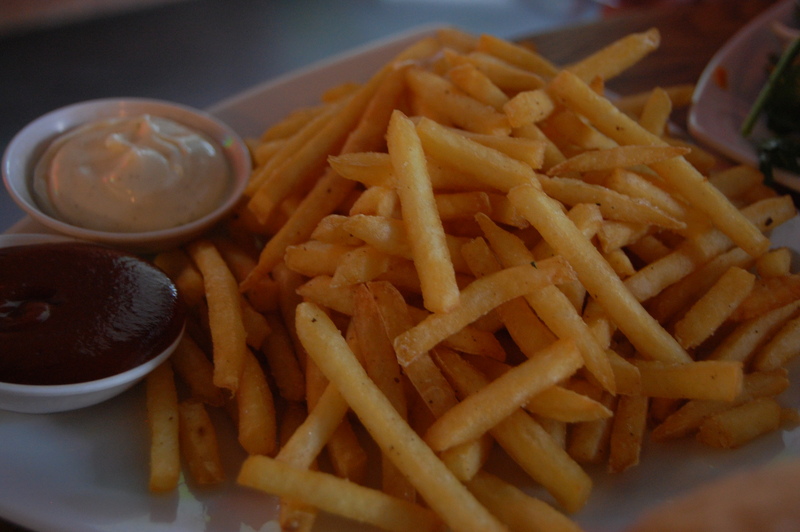 Some Walnuts would have made a fabulous addition as well as adding a bit of texture. The service was very friendly and the staff were more than happy to advise ‘Speed Racer’ on a meal selection as she was a bit overwhelmed, everything sounded so appealing. 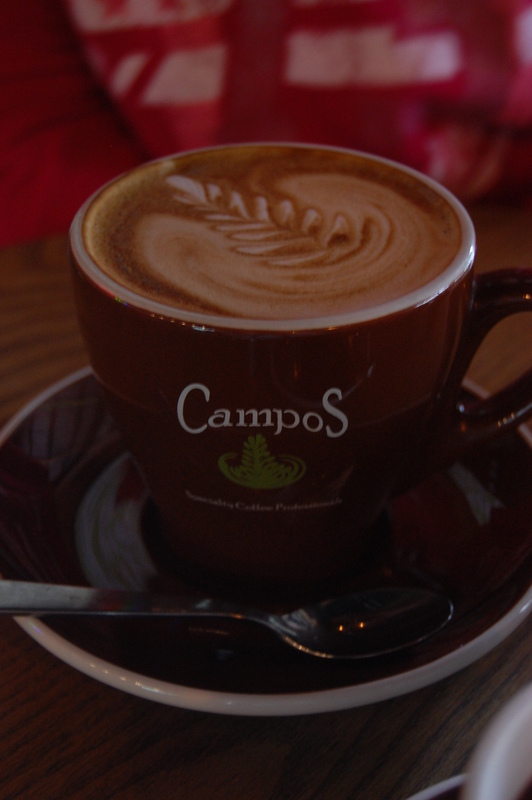 To round off the meal we got a coffee each, Toco serve Campos coffee. Speed Racer wasn’t particularly keen on hers but mine hit the spot just fine. While I wasn’t blown away by my meal at Toco, I’m looking forward to going back – I had my eye on that Beef Burger and the Reuben Sandwich. All in all, a cool little gem in leafy suburbia. Hehe pork is my favourite meat so I understand why you went for it. A shame that it wasn’t as wonderful as you would have liked. The rest of the menu sounds nice though!